If you have ever been in a bike accident when your head contact with the ground then you most likely know how the dreams can tied you down. In last few days my skull felt like it was trying to exit my body through the skin. I feel I have been underwater for the past 5 days and my mind's been turned backward.I was just living in my head thoughts, outside my body, feeling like being on funfair ride, but without fun and couldn't step off. I was recording things and situation happening throughout my life. I was walking this footpath trying to choose right signpost to create better me. I arrived to the edge of a cliff, I get pushed in many times. This occurs on days when I got judged. This occurs edges When I have been asked on my occasion: Why don't you accept the love ? the question goes.. Many times I need to ask myself this question, to restore my fight. The question rubs at the sore of my core. I suppose the only means of answering the question is to experience it. But its hurt - full. Somewhere in your childhood or past., someone managed to convince you that you are less and then it is hard to accept the love. You accept less because you have distorted image of yourself that blocks you from accepting the love. Maybe you accept less because you grew up without your love ones. And then it is hard to forgive yourself for messing up, where you cannot return to your natural state of being self love, where you will naturally want to treat yourself and others with the care and respect they deserve. Then you start worry. That you are not too nice, because you are trying to compensate for the how horrible you really are at your core. I worry my loveless are always going to keep me cut off from the very source of joy and beauty. I am worry that I won't take the feelings of the ones who expressed they care for me more seriously. I am worry that I am falling behind in every way. You accept the love you think you deserve. The love you deserve you think is nothing but a reflection of the image you have of yourself. But if you are reading this, wherever you are, whoever you might be, remember: You accept the love you think you deserve. And you deserve more. The love, take the time and patience to understand as fully as possible. The people who do thoughtful, kind, unexpected things the ones bringing support and love, offering cherry understanding are the rocks. Appreciate their presence no matter what. Repost from Monday 20 pull ups to Tour de Yorkshire. But struggling with exhaustion after bike crash on Monday. Then I crash and peacefully slept 2 days with some dreams considered across years. I am happy to share them with you. Many of us have a dreams ( in the dream), unable to do in waking life. This case of dreams series considered across years. I have several of dreams over years but this one keeps on and on. I keep walking through a ridges in mountains covered with snow. Being chased by threatening characters who never quiet caught up to me. The ridges I passed through in this dream are always the same, with the exception of new areas opening up in each dreams. The ridge is very steep covered with ice and those characters trying to stop me. But my interest in exploring new landscape, stays active inside of my head. Pushed towards of my desire to explore more options and obstacles to deal with my negative thinking and feelings of misery keeps me on going. Winning is the fulfilment of walking in the middle of nowhere, taking risk, being free and being myself, not following any footpath, just myself choosing which ever way to go. The footpath is covered with snow, the trail where there are no paths to find out, What am I after ? What is objective of all ? Is it achieving the targets or moving towards them ? Is it a runaway from choosing to invite others into my live that I am not ? Is it a runaway from going through the motion ? Is it a runaway from those who hurt me or those who trying to fix my fears ? Maybe its being afraid to love anything fully and live completely. The fear doesn't exist in this snowy place that I am arriving at. Out of sight. Out of mind and for a while I can get off on the absence. The emotional tie run deeper in this place. The sense of self - doubt creeps in. And it's like trying to grab something new with full hands and cannot figure out why I am dropping it. The runaway wears away the present. Pain can be avoid. I wouldn't stick around here for too long because the going of my fears gets tough, trying to catch me. On these blank footpaths I won't get present or unfinished memories all of my sweet plans and dedication that I have promised with my lips, because here I don't have the sense of pride I used to have. And I run into infinitely more. I run further, harder, faster to avoid the pain I am carrying with myself. I am running to land where unfinished wounds stop bleed from the same scratch. The snow is too deep and it harder it becomes, to lift up each foot. And it harder it becomes to find the way back. Now I am here, without others, without assistance, without external help, trying to conquer the mountain. Trying to not to fail. But instead I will try to take an action, no matter how small the steps may be right now. I will try to allow the sensations to be in my body and progress in the improvement that is hard to do in waking life.. When you have a list of targets you’d like to achieve, you have more to strive for, and more opportunities to check those targets off your list. I focus on 1 target at time, because focusing on one thing frees up space in my mind to store all the knowledge associated with my one target at time. The place I am now is example of one of mine targets and dreams I was striving for, the place surrounded by people who are working really hard towards to their dreams and that is what is inspiring me to take some action too. 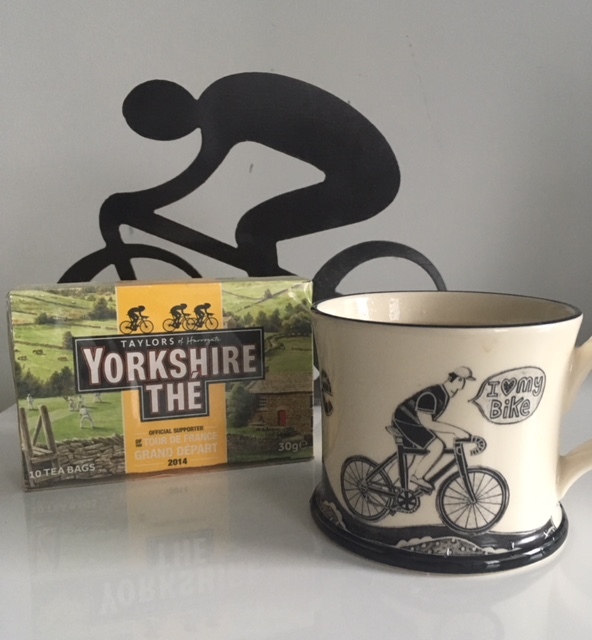 At the moment I am aiming to climb the best and some of the hardest climb in Yorkshire especially the ones with 33%+ Max Gradient and tick them off my list included Tour de Yorkshire Sportive in 4 weeks. Three done, many more to come! I will share some of my stories later in the book I am trying to write down. But for now I will keep you posted here on my blog. Also feel happy and free to leave comment or some advice what hills to climb here in Yorkshire. Today I had energise my body with this quick breakfast option Of Protein Greens Smoothie. This vitamin C rich smoothie helps the body absorb iron more effectively. The spirulina is optional but is an excellent source of additional vegan protein as well as energising magnesium. For lunch I made Tex Mex Burgers with Spicy Chilli Dressing. These vegan burgers are wonderfully fragrant with Mexican spices. The beans provide plenty of protein while oats are rich in soluble fibre to help stabilise blood sugar levels and support digestive health. Place all the burger ingredients except the butterbeans, oats and sweetcorn in a food processor and blitz to form a thick paste. Add the beans, oats and sweetcorn and pulse briefly, just to combine everything but still keeping some texture. Season with salt and pepper. Divide the texture into four, then wet your hands and shape into burgers. Preheat the grill to high. Place the burgers on a non - stick baking tray and grill for 5 minutes on each side until golden and crisp. To make the spicy dressing simply place all the ingredients in a blender and blitz, adding just enough water to create a thick sauce. Serve burgers topped with a spoonful of the dressing and accompany with mixed salad or steamed vegetables. For Snack I have baked Vegan Avocado Brownies. These are simple to make and great way to use Avocado. You can also go with bananas instead of avocado. You can freeze these brownies for up to 3 months. Preheat the oven to 180C and grease and line a 20 cm square traybake tin with baking parchment. Place all the ingredients except the chocolate chips in a food processor and blend until smooth. Stir in the chocolate chips, reserving a few for the top. Spoon the mixture into prepared tin and scatter over the remaining chocolate chips. I am not huge fan of chocolate, so I always go without chocolate chips and it works well too. For dinner I had Fennel, Tomato and Bean Bake with mixed salad. It is really hard to take your dreams and try to walk through that mess of negativity. It’s easier said than done, but here are a few steps I have taken to help ensure that my dreams become a reality. I made a list of targets I would like to achieve in my life. And every time I achieve one of my target, I check it off the list and celebrate what I’ve managed to accomplish in my life! And move to another one. You Live. You Learn. You Change. Accept that we are always changing. Your targets can change too. Know that you may work very hard at one and it may shape into something else. Be ACTIVE and PURSUE. Most targets are not easy to achieve or what some may call ‘realistic’. So attack it as if it were something that can be attainable, no matter how magic-unicorn-like it may be. Replace your targets with an important work task that could earn you a huge raise. However, one target isn’t good enough. Some targets take longer to achieve than others – and if you spend years working toward only one objective, you’re likely to get discouraged when it doesn’t happen right away. But when you have a list of targets you’d like to achieve, you have more to strive for, and more opportunities to check those targets off your list. And the rush you feel every time you check one of those targets off the list will inspire you to accomplish even more of them! At the moment I am aiming to climb the best and some of the hardest climb in Yorkshire especially the ones with 33%+ Max Gradient and tick them off my list. By now I know little bit more about eating and planning vegan meals.This week I have a few more baked goods that can be store in the fridge or freezer for easy options when time is short. Today I had a perfect breakfast Protein Greens Smoothie with cuppa of Yorkshire Tea. This Smoothie is vitamin C rich kiwi fruit which also helps body to absorb iron more effectively. The seeds provide additional fibre to keep you feeling fuller for longer. For lunch I had Fennel, Tomato and Bean Crumble Bake with Spinach Leaves. This Italian - style dish is light and refreshing and delicious served hot or cold. The beans provide plenty of fibre and protein. If you do pullups every day, you would be working the same muscle group every day in a row and not providing your muscles the necessary recovery time. Depending on the intensity of your workout. I wait 48 to 72 hours before doing my pullups and workout again. If you do not give your muscles enough recovery time, they cannot improve and may atrophy, or weaken. The National Strength and Conditioning Association recommends that beginners rest at least 48 hours between full body workouts. I do pull ups, swimming and cycling on separate day, depending on intensity of cycling and swimming. So here is my 9 pull ups to warm up with Robus resistance band and 17 pull ups for my challenge to Tour de Yorkshire. I never feel hungry immediately after a long ride but it leaves me fighting off hunger pangs day after. Which means I can be in calorie deficit 24-48 hours after my ride. I will need to start using a recovery drink to make sure I am getting in the nutrients I need to repair my body and help fend off the urge to overeating later in the day. To help my hunger locked down I add some protein to my meals. Today I had Strawberry Beauty Cream Shake. with handful of nuts. Then I had few pieces of Avocado Chocolate Brownies and and fruit to make a healthy and well balanced snack between my meals. Two hours later I had for my lunch 4 Vegan Meatballs with Barbecue Sauce and salad. For dinner I had two Stuffed Peppers, 3 Vegan Meatballs and 120 g of quinoa. Preheat the oven 180C. Cut teh red peppers in half langthways and discard the core and seeds. PLace on baking tray, cut side down, and bake in the oven for 10 minutes to soften them slightly. Remove from the oven and allow to cool, then turn cut side up. Heat the oil in a frying pan and saute the onion and garlic over medium heat until soft. Add the mushrooms, passata, sun-dried tomatoes, vinegar, chilli powder and soy sauce and simmer for 5 minutes until sauce has thickened slightly. Transfer the mixture to a food processor along with walnuts and cooked quinoa. Pulse lightly to create a chunky filling. Spoon the filling into the peppers and then bake in the oven for 20 - 30 minutes until peppers are golden and soft. In training and competitions, you arrive at a point at which it is no longer fun. I call this the Grind, which starts when it gets tiring, painful, and tedious. Loving the Grind is rare. At the other end of the continuum is "I hate the Grind." If you feel this way, you are not likely to stay motivated. But I’m fully inspired and motivated by athletes and coaches I meet on my working basis. Using their wisdom to live my own life. Because their touching my soul, and rock my soul. I’m inspired from their successful and unsuccessful times. Because their show that human beings can be kind, brave, generous, beautiful, strong-even in the most difficult circumstances. I suggest that I love rather than hate the Grind, because of those athletes who never give up even if it’s too darned hard! Thanks to their hard work, I have reached the climax of my struggle and begging to go over the Yorkshire Hills. Today it was tought ride for me. I had choose to climb two steep hills Norwood Edge ( distance 1.7km, steepest gradient 16%) and Greenhow hill ( 2.5 mile with maximum grade 22.1 %, climb cat 3) They both are long ans steep enough for me as a beginner. Finishing off on short Burnsal hill but believe me, after 40 miles in my legs, this one felt like a mountain. The route was 50 miles long with 4,757 ft max elevation. Yorkshire is a part of country where it is possible to get steepest gradient 30%. So if you are one of those cyclist that search out the very steepest gradient then North Yorkshire and Rosedale Chimney is the climb for you with the toughest incline of 30 %. Naturally, I would like to go with this one as well, not only to test myself against to get best of me, but also be able to to climb some of these thigh - burning best cycling climbs in Yorkshire. and thick them off my checklist. Hopefully my vegan nutrition plan will help me to lose weight and get faster and stronger to climb those hills and also feel great about myself. Today I have started my day with my favourite Berry Beauty Cream Shake. Then I have baked some Avocado Chocolate Brownies to keep my blood sugar balanced throughout the day and ride. Before I did set off I had three Vegan Meatballs with Barbecue Sauce. On a bike ride I use the Graze Vegan Flapjacks Squares, not cheap but they always help me to get through a hilly long bike ride and they are so delicious. Their deliver a great mix of fast acting sugar, slower burning carbohydrates and bit of protein so I can go for an hour without stopping. I usually take one every hour so my body an likely hang on until proper meal. After bike ride I had two Stuffed Peppers, few Felafels with Tzatziki and 150 g of quinoa. It is a protein and carbs rich meal which it gives me my energy back and could recover efficiently. Pull ups are one of my favorite forms of exercise. Hard to beat 'em. You can’t deny the power of the pull up; a beautiful physique can be sculpted with the simple pull up. It broadens and strengthens the back, while sculpting the waist in one fluid easy to understand (but difficult to do) maneuver. The prime mover for the pull up is the lattismus dorsi. Surprisingly, the pull up engages the core a great deal. The secondary movers and stabilizers for the pull up include the trapezius, rhomboids, biceps, serratus anterior, transverse abdominus and the obliques. From my experience I would say go gently and do not really play the edge while doing pull ups or the other I mentioned. We all have our thresholds so pay close attention to what the body is telling you. Now I will do pull ups on my non swimming days, because I found out that doing them every day wears out my arms and thus ruins my swimming. By the way I do stretch afterwards to maintain fleixibility. Today I have been cycling to work 20 miles and I am keeping rest day from pull ups today as because, Yesterday I have been doing them 3 times as a: 1 set of 9 with robus resistance band to warm up, 2nd set I have done 15 pull ups with power band with 60 second rest between sets and last 3rd set of 16 pull ups I have completed two hours later using power resistance band. I have fuel myself with Protein Chocolate Latte Smoothie before I headed up to bike ride. Day 11 #goleanvegan and 16 pull ups to the Tour de Yorkshire. I work two jobs today, trying to squeeze at least an hour of training every day. It's mentally and physically exhausting and leads to stress but on the flipside, I've enjoyed cooking up some really tasty new meals and learning the joy of eggless baking. More importantly, I have been cycling longer hilly routes with less effort, sleeping better and finding my energy levels to be at least as high as usual. I know this could all be complete coincidence, or psychosomatic – but I have to say it's pretty cool. Today I had Berry Beauty Cream shake for my breakfast. For lunch I had 4 Falafels with Tzatziki. Before I hit the swimming pool I have treat myself with those delicious Vanilla Tofu Cookies. I felt really hungry after swimming so I have add some carbohydrates from quinoa and soya beans I have got from Morrisons. My dinner was Vegan Bolognese with Vegetable Noodles. You know the feeling: that aching, trembling, just-got-hit-by-a-bus soreness that makes even rolling out of bed seem impossible. My last few days were dozy doing pull ups every day included weekly 110 miles bike training on hills for the Tour de Yorkshire Sportive. I give my body full break today to have a little bit of recovery and let the body heal. Going to get good nights sleep. That's when the real magic happens in your muscles. "During REM cycles, that’s when your body will produce the hormones that it uses to repair the muscle tissue, study said. Here is my 4 meals to help me to cure sore muscles and speed up recovery. First make the compote. Place the berries, water and xylitol in a pan, cover and simmer over a low heat for 2-3 minutes to soften. Mix together the cornflour with 2 tablespoon water to form a smooth paste. Add this to the pan and stir for 1-2 minutes until the mixture thickens. Set aside to cool ( this can be made ahead of time and kept in the fridge until needed). Rinse the ( soaked) quinoa well in a sieve and then place in a pan with water, coconut milk and stevia, if using. Bring to the boil then simmer over a very low heat for 15 minutes until the grain is soft and most of the liquid absorbed. Stir in the tahini. Spoon the porridge into bowls and top with the berry compote. This revolutionary step-by-step 30-day diet plan is helping me lose weight and start feeling better fast – while eating delicious, satisfying plant-based foods (and absolutely no calorie counting). Carefully developed by award-winning nutritionist and chef Christine Bailey, including nutritionally balanced, gluten-free and delicious recipes, this easy-to-follow, protein-rich vegan weight-loss programme will get the results you want and keep you healthy and energised. Today I had Berry Beauty Cream Shake just add 2 tbsp of oats and 1 tsp of peanut butter to fuel me enough for my 20 miles bike ride to work. Today I have choose lower level of assistance and used 30-80 lbs (14-36 kg) robust resistance band. I have managed 11 pull ups and did need to go for power green resistance band 30-100 lbs (14-45 kg) to complete 15 pull ups in one row. Of course, eventually I hope to be able to pull up without the bands, but for now I am absolutely thrilled. My quards should ache a little bit, after two days of riding in the hills but I would say lats probably ache more after doing this pull ups challenge. Today I add zing to my day provides with plenty of vitamin C to energise my body with Pick - Me - Up Smothie and then I went for gentle swim focused on drills finished off with set of 50s. Doing those pull ups I felt direct impact on my speed. reading some articles I can highly agreed that the pulling pattern in the stroke is closely related the pull up movement and it helps me to power my swim stroke. Looking forward to improve my freestyle times so I can feel confident to enter 2km Evolve Open Water Series in the heart of North Yorkshire. Swimmers who complete in at least 3 events will race for the title of Open Water Swim Series Champion. I did find this really challenging, especially living in depth of despair of no racing in triathlons this year. But I dont hold in emotional pain. Instead I make sure I tend my physical needs. I can explore the beauty of Yorkshire hills and work on my swimming. Experience is a great teacher. What I learned from those bouts of grief was that I needed to listen to what my body was telling me and to look at emotional issues more quickly than I had done in the past. I am in my week 2 of Go Lean Vegan and can happy say that I have noticed a weight loss 1kg, energy boost and feeling less tired. In week two I have more variety to switch of from smoothies, but I will keep them back on because their energise my body and keeping me feeling full and mainly their quick breakfast option on the go or as a post workout snack. Today I have fueling myself with smoothie before swimming. Then I had Cauliflower and Caramelised Red Onion topped with chopped red tomatoes pot served with my favourite quinoa. For snack I had Tofu Vegetable Scramble and for dinner I had One Pot Spiced Vegetable Tagine with 30 g of quinoa. If you miss scrambled eggs then give this vegan alternative a try. When tofu is crumbled and flavoured with spices it makes a healthy, protein rich replacement. Serve with slices of avocado for filling and energising dish. Heat the oil in a frying pan over a medium heat and add the spring onions, garlic, mushrooms and red pepper. Saute gently for 2-3 minutes until the pepper has softened. Crumble over the tofu and stir into vegetables with the spices, yeast flakes and soy sauce. Season to taste with salt and pepper. Cook, stirring, for 3-4 minutes until the tofu begins to turn golden. Add the tomato and spinach leaves and stir for a minute until the spinach has wilted. Self-discipline is a regular challenge in any aspect of the life. I am enjoying a diet rich in satisfying nuts, grains, fresh fruits, and vegetables; my favorite lunch is a Pea falafels with tzatziki. And physically ? Psyching myself up to exercise is much easier. I’ll stick with it because I feel—and perform—better. I found I bounced back quicker even as some workouts grew harder and longer; I don’t feel as sore or tired after hilly bike rides. The nutrient-dense plant-based foods I eat give me incredible energy, so I could ride 45 miles with 4,500ft elevation refuelling myself just with two Graze Orange flapjacks and 3 Home made flapjacks before I set off. You have to remember, going vegan isn’t diet, it’s a lifestyle. Just make sure your doing safely and effectively. Today I have started my day with blending the greens with vitamin C - rich kiwi fruit, well energising magnesium from Spirulina and additional source of fibre from seeds. This perfect Smoothie as a breakfast is a good option on the go and also as a post workout refuel, which I had after my bike ride. I have set off around 2 pm an hour after my second meal Baked Cauliflower and Caramelised Red Onion with quinoa. It's not hard. I’m not sure what I thought would be hard about it: craving foods I couldn’t eat, finding something interesting to eat, having to read labels… none of it presented any real difficulty. Once I found how well my body fared without cheese and meat it really didn’t appeal anymore. Within a few days, I began to feel unusually light and alert. Everything seemed to require less effort and I had very little mental resistance to the prospect of doing things. Psyching myself up to exercise is much easier. There was no heaviness after I ate, no recovery period. I went for short bike ride 25 miles with little climb elevation of 1,939 ft and didn't feel hungry or tired. Later on I have completed my 13 pull ups and I didn’t get tired until bedtime. Many people seemed to assume I was secretly dying of cravings for steak and cheeseburgers, and that it takes some sort of enormous ethical strength to eat vegan. I wasn’t, and it doesn’t. When asked “Why?” my go-to answer was that it makes me feel physically good, which is true and is probably the main reason. I didn’t want to get involved in an ethical debate, because once a conversation becomes a debate, communication ceases. So how was I refuelling myself during the day ? I have started my morning with Protein Chocolate Latte and for lunch I had Broccoli Coconut Cream Soup, with mixed salad. Heat the coconut oil in medium pan and add the garlic and cumin. Saute over a medium heat for 1 minute. Add the stock, coconut milk and broccoli and cook for 10 minutes. Stir in the spinach, cannellini beans, lemon juice, parsley and nutritional yeast flakes, if using. Let the spinach wait for a minute. Using a food processor, blender or hand held stick blender, process the soup until smooth. Taste and adjust the seasoning, then spoon into bowls. Before i head up for bike ride I had slice of my home made Avocado Brownies and 1 Graze Orange Flapjack. Prehet the oven to 180 C then lightly grease an 8 x 8 " baking dish. In a blender, combine the avocado, soymilk, maple syrup and coconut sugar ( or protein powder instead ). Blend until smooth. In a large bowl, combine the spelt flour, cocoa powder, baking soda and salt then stir together. Pour the wet ingredients in the blender into the bowl with the dry. You can add the chocolate chips if you chocoholic and then stir together until combined. Then bake in the oven 15 - 20 minutes. Allow to cool for at least 15 minutes. After the bike ride I had Roasted Cauliflower and Pistachio Tabbouleh with 150 g of quinoa. Why pull-ups and vegan ? As a result, for this month’s physical challenge, I wanted an excuse to concentrate specifically on my back (the weakest part of my body), hopefully building a habit that I can continue even once the month is over. Veganism is a lifestyle choice that tends to engender a lot of misunderstandings. Plenty of people think it involves way more deprivation, sacrifice and, well, lettuce, than it actually does. So, I'm going to move further in the vegan direction, not ruling dairy out of my diet completely, but not relying on it for essential nutrients which also exist in nuts, pulses and grains. The proof will be in the (vegan) pudding though, and with my Tour De Yorkshire Sportive coming up I can't wait to see how I'll do. Delicious new vegan products are released on the daily. Trying them makes me feel like a kid on Christmas. Preheat the oven to 200C and line a baking tray with baking parchment. Place all the ingredients except the olive oil in a food processor and pulse until everything is combined but still has some texture. You may need to scrape down the side of the bowl with a spatula a couple of times. Using slightly wet hands, roll the mixture into 12 small balls. Place the balls onto the lined baking tray. Brush or drizzle the falafels with a little olive oil and then bake in the oven for 15 minutes before turning them over and returning to the oven for a further 10 - 15 minutes, or until golden. Meanwhile make the tzatziki, place yogurt, mint, lemon juice and salt and pepper in a blender and blitz to combine. Stir in the cucumber and serve with warm falafels. For snack I had two pieces of my home made Vanilla Orange Flapjacks and for dinner I had Roasted Cauliflower and Pistachio Tabbouleh with 150 g quinoa. There is no magic pills if you want to achieve a lean, healthy body. Basically, build the perfect plate and exercise.I will add 10 pull ups to my "vegan to the Tour de Yorkshire journey" ( using resistance band to begin with) for 30 days. I will increase the amount by 1 pull up every day, aiming with 40 pull ups on the final 30th day. training my body to foster greater endurance, mind, and self confidence about my own capabilities as an athlete. 1 scoop ( 30 g ) vanilla protein powder. I added some water to it. It made a mix of over a glass and was too heavy but I somehow had it. I try to keep 50% of my plate by colourful slow - realeasing vegetables, 30 - 40% by protein - rich vegan foods like beans and pulses or combination of some beans and nuts or seeds and healthy fats. 10 - 20% is a little gluten free whole grain like quinoa or half a cup of starchy vegetables such as sweet potato or beetroot. Did you know that eating the right types of fat can actually boost weight loss and metabolism. Not only that, eating more fat shuts off your brains hunger and craving centre, and keeping you satisfied for longer. I aim to include 2 tablespoons of Omega 3 rich nuts and seeds and 1 - 2 cups of leafy green vegetables a day as they can provide Omega 3 fats. Today I was refuelling myself throughout my busy day with 5AM Pick-Me-Up Smoothie, 9.30AM I had 15g of porridge follow by lunch at around 12PM with tasty Almond Pad Thai. After work I went to my other working place and because there was no time to train that I was keeping my carbohydrate intake low. If I was training there were optional snack as 2 Banana Cookies ( 12 cookies = 1banana, 100g oats, 1 tbs flaxseeds, 1 scoop vanilla protein, 1 handful of nuts) My dinner was 4 Pea Falafels with Tzatziki and 2 tbs Roasted Root Hummus and steamed vegetable. 1 scoop of rice protein. This Fat Burner smoothie is not only tastes good, but it was keeping me feeling full until my next meal Creamy Caesar style Kyle Salad with 130 g of quiona. On my training days I will include an additional snack (2 slices of those chocolate brownies) to support my fitness programme. Meanwhile preheat oven to 190C. Place the nuts in a food processor or blender and process until fine. Add all the remaining topping ingredients and blend to form until a thick sauce. Then place in the base of baking dish. Bake in the own for 20 minutes. Because I felt hungry I have added the snack, 3 tbs Roasted Root Hummus ( 1 x 400g tin chickpeas, 150 g roasted root vegetables, juice of 1 lemon, 2 tbsp tahini paste, 1 garlic clove, 1/2 tsp ground cumin, pinch of caynne pepper, sea salt and black pepper) and carrot sticks. Dinner was Almond Pad Thai and handful of mixed nuts. First make up the dressing. Place all ingredients in a blender, adding just enough water to create a thick dressing. Place the soybeans in a pan of boiling water and cook for 5 minutes until tender. Drain. Place all the remaining ingredients for the salad in a large bowl and toss through the Pad Thai dressing. Garnish with the coriander leaves. There's nothing that's not improved or impacted positively and significantly by living this life. Then I have Cycled 10 miles flat road to deliver an hour session. I felt super hungry and had another 15 miles ride ahead, so I had 1/2 Graze Super food bites flapjack and 15g of porridge. and teh other half of flapjack I took during the bike ride. After bike ride I drove to my main job and kick off my shift with Creamy Caesar style Green Salad. My big meal is dinner. I had Sweet Potato Moussaka mixed with salad. I am taking fiber as part of the plan and with eating all the fruits and veg, I find that I am rarely ever hungry. I eat smaller meals and smaller snacks and feeling full even after a small bit of flapjack. I hope "Eating plant-based reduces inflammatory responses which allows the body to rehabilitate itself more quickly, meaning I hope that I will bounce back more quickly, which in terms means I can train harder, get lighter to get riding faster, especially up those Yorkshire hills and mainly for my competition 130km Tour De Yorkshire 2018. I hope being vegan will help me to build muscle mass and I will less likely to get overtired, over-train or injured.